A hydraulic cylinder acts as a mechanical actuator using power from pressurized hydraulic fluid (oil). In the cylinder, closed on both sides by a cap and a flange there is a piston which moves back and forth. High-quality hydraulic cylinders use high strength piston rods. To ensure top-quality performance, the piston rods should be manufactured from premium materials with advanced forging technologies. Setforge, the forging division of Farinia Group, manufactures steel piston rods for all kind of off-highway applications. 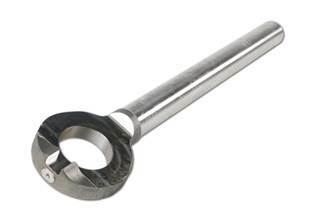 Our upset forging process produces one-piece, highly dependable components. Farinia Group is a premium manufacturer of quality diverse parts for a wide range of industries. Our long-standing experience in material transformation is the best warranty for the excellent performance of all Farinia components.